Chinese smartphone company Xiaomi is looking into raising new money at a $US40 billion valuation, Ryan Mac at Forbes reports. Xiaomi is best known in the US tech press for copying Apple. Its founder dresses like Steve Jobs and gives Apple-like presentations complete with “One More Thing…” slides. Xiaomi is more than a company that apes Apple, though. It is the biggest smartphone maker in China. Last week, it was briefly the third biggest smartphone company in the world behind Samsung and Apple. Then, Lenovo’s acquisition of Motorola closed, and Lenovo was the third biggest company, according to IDC. So, Xiaomi is fourth biggest. The rise of Xiaomi is stunning. Jun Lei, Xiaomi’s founder, founded the company on April 6, 2010. Xiaomi sells Android-based smartphones at a relatively low cost. Its phones start at $US100, and go up to $US400. Apple’s iPhone costs north of $US650 for its newest models. Samsung also sells phones at a higher price. Xiaomi doesn’t skimp on its phones to make them low-cost, either. For the most part, the phone has good parts that make it perform as well as a Samsung phone. If Xiaomi were to raise new money at a $US40 billion valuation, it would make it the most valuable private company in the world, says Forbes. It would also suggest investors think Xiaomi is going to be much more valuable. For the most part, private investors are looking to at least double their money. That means that anyone investing at $US40 billion actually thinks it’s an $US80 billion or more company in the next 3-5 years. This is a risky bet! There are two companies making money selling smartphones: Apple and Samsung. Samsung, is currently in trouble. Its profits dropped by 49% on a year-over-year basis in the most recent quarter. The rest of the companies making smartphones are either breaking even, or eeking out a small profit. 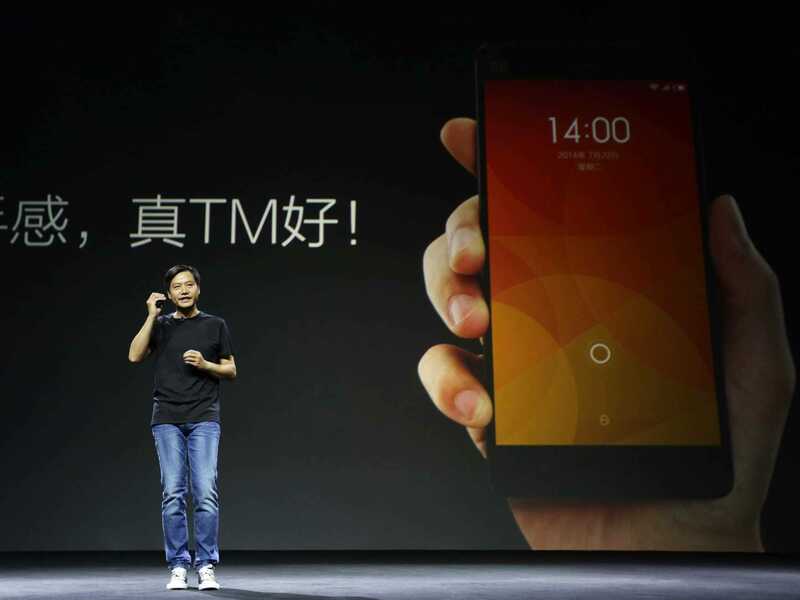 Xiaomi’s phones are sold at razor-thin margins. It’s likely only making a few bucks on each phone sold, assuming its making any money at all. On the other hand, Xiaomi likes to say it doesn’t spend much on marketing. It’s mostly word of mouth. The smartphone market is changing fast. Google paid $US12.5 billion for Motorola in 2012. This year, it sold Motorola for $US3 billion. Xiaomi may have buzz right now, but it could be steamrolled by the next Xiaomi, whatever that might be.